On a snowy Christmas Eve in 1842 a little boy is busily building a snowman, blissfully unaware that he is creating a monster out of telepathic snow… Fifty years later we rejoin The Doctor on Christmas Eve as an ancient alien force descends over the snowy streets of Victorian London in 1892, but instead of being full of Christmas cheer, the Time Lord has been left devastated by the loss of Amy and Rory after their terrifying encounter with the Weeping Angels in Manhattan. Consumed by sadness The Doctor has become a lonely recluse, cutting himself off from the universe, content to wallow in his despair as the festive season overtakes him unnoticed. 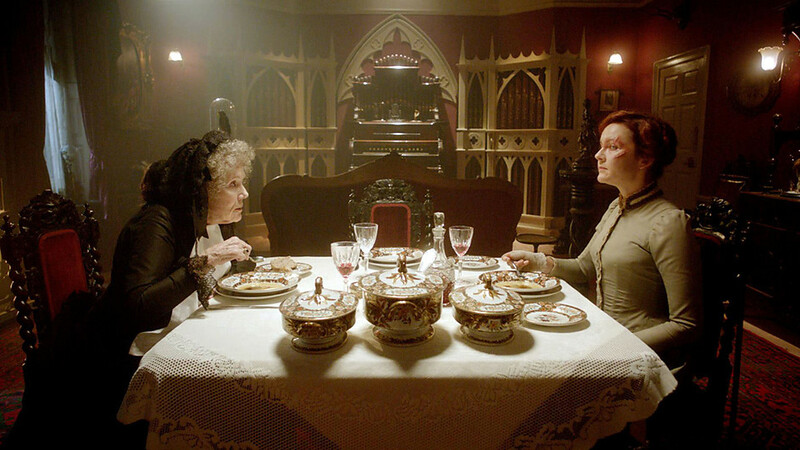 However, when the villainous Dr Simeon hatches a deadly plot it falls to a resourceful young governess, Clara, to enlist the help of The Doctor when Captain Latimer and his children are threatened by Dr Simeon’s plans. Clara manages to lift the stubborn Time Lord’s spirits, coaxing him out of his dark mood to save mankind, and together with the help some his old friends Madame Vastra, Jenny and The Sontatran Strax, they battle to save the world from the icy clutches of Dr Simeon and his menacing horde of icicle-toothed Snowmen! The fall of the Ponds has had a marked effect on The Doctor and Matt Smith’s superb portrayal here of a more sombre, and melancholic, Time Lord is quite startling. Having turned his back on adventuring he now lives in the TARDIS high amongst the clouds and rarely visits the city below. It would seem that a considerable amount of time has passed since the tragic events in The Angels Take Manhattan, and this years Christmas Special gives Matt Smith a chance to really address The Doctor’s pain in a sensitive way that allows a satisfying sense of closure for him. 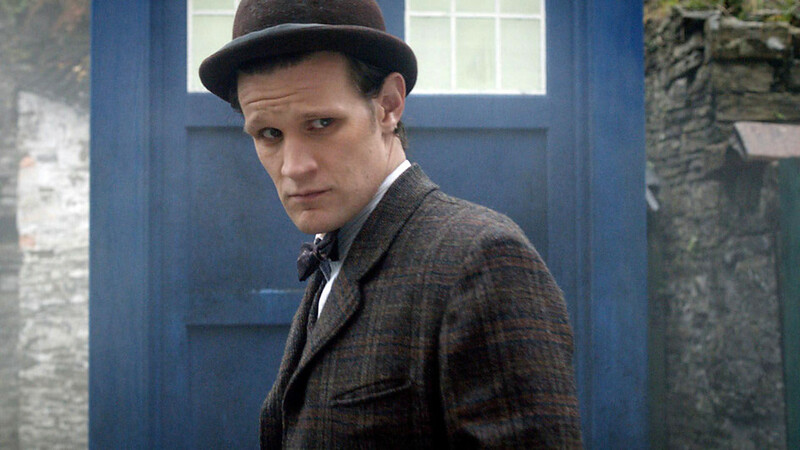 Matt Smith’s striking new outfit for this adventure has more than a hint of the Artful Dodger about it, with a long purple coat, and battered top hat the Time Lord looks perfectly at home as he wanders the Dickensian streets. The Doctor even adopts a deerstalker as part of his Sherlock Holmes disguise when he breaks into Dr Seimeon’s laboratory, where he discovers the giant snowgobe housing the alien intelligence that controls the great swarm. Of course The Snowmen is an extra special Christmas episode of Doctor Who because it features the debut of Jenna Louise Coleman as Clara, in her first full adventure as The Doctor’s new companion since her surprise appearance in September as the ill-fated Oswin in Asylum of the Daleks. There has been endless speculation about what role the Warterloo Road and Emmerdale actress Jenna Louise Coleman would play after Oswin’s unfortunate fate in Asylum of The Daleks. 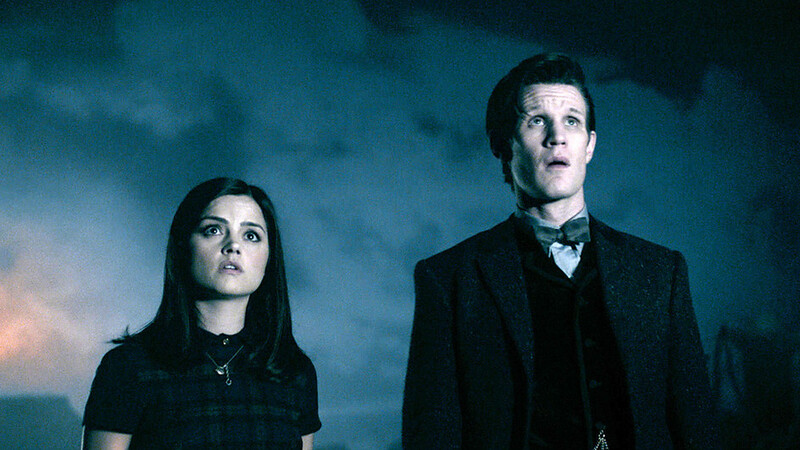 It turns out that Clara is an entirely different person who just happens to looks like someone The Doctor has encountered before; but as the story unfolds we learn there is much more to Clara than meets the eye… Jenna Louise Coleman does a remarkable job in establishing her role as The Doctor’s new companion. Clara is a very different character to Amy Pond, she’s more down to earth, from the Victorian era, feisty and curious with a mission of her own, and she certainly has a profound effect on the Time Lord. When we first meet Clara she is working as a barmaid in the Rose and Crown to make ends meet, but a chance meeting with The Doctor leaves her determined to follow him so she can find out who he really is. The Snowmen is a wonderful introduction for Clara’s character, someone who The Doctor is immediately drawn to by her strength of will and tenacity. It can be tricky to introduce a new companion to viewers, particularly when The Doctor’s bond with his previous companions is still so clear in our minds, but Jenna’s fantastic onscreen chemistry with Matt Smith and her spirited performance as Clara will win you over in a heartbeat. 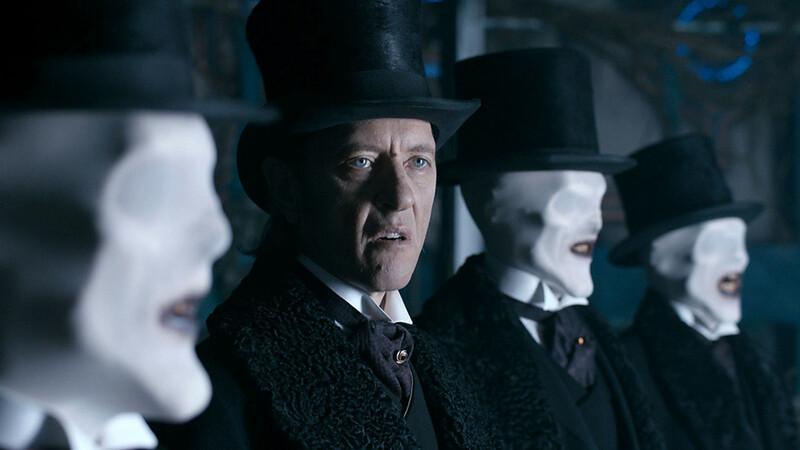 Richard E Grant (who once starred as The Doctor himself in the animated adventure Scream of the Shalka and a Comic Relief Spoof) plays the wickedly evil Dr Simeon, a man consumed by the power and corruption of a malicious alien intellect, who is determined to unleash his deadly army of Snowmen as a living blizzard of death sweeps across the city of London. Armed with a talking glass globe (voiced by Sir Ian McKellen) that allows him to control the Snowmen, Dr Simeon provides a suitably chilling menace for this Doctor Who Christmas Special. 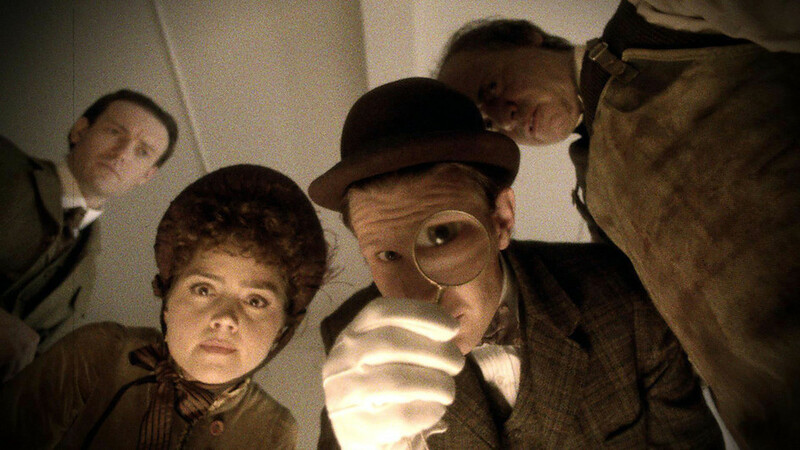 Richard E Grant gives a scenery chewing performance as the power crazed Doctor Simeon, basking in the glory of his evil plan as the snow begins to feed on the thoughts of the terrified children in an attempt to resurrect the Ice Governess, as well as some terrifically tense confrontations with Matt Smith’s newly invigorated Time Lord. Joining The Doctor and Clara against The Snowmen is Captain Latimer, played by Tom Ward, who is best known for his role in the forensic crime drama: Silent Witness. Captain Latimer is an old naval captain; he is struggling to build a relationship with his children, and becomes unwittingly embroiled in Dr Simeon’s plot to overthrow the world. Fortunately his children’s governess, Clara, is able to convince The Doctor to help them save the world from Dr Simeon’s icy clutches. Also making a welcome return for this yuletide special is Neve McIntosh as the Silurian warrior Madame Vastra, she is accompanied by Catrin Stewart who plays Vastra’s loyal human companion Jenny, and Dan Starkey is also back as the straight-talking Sontaran Nurse Strax. 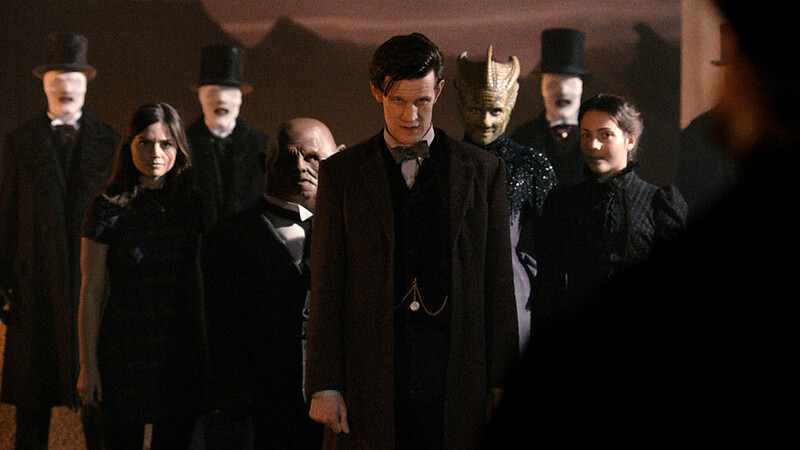 These characters quickly became fan favourites after they banded together to help The Doctor and Rory rescue Amy Pond from Madame Kovarian’s base on Demon’s Run in A Good Man Goes To War (2011). 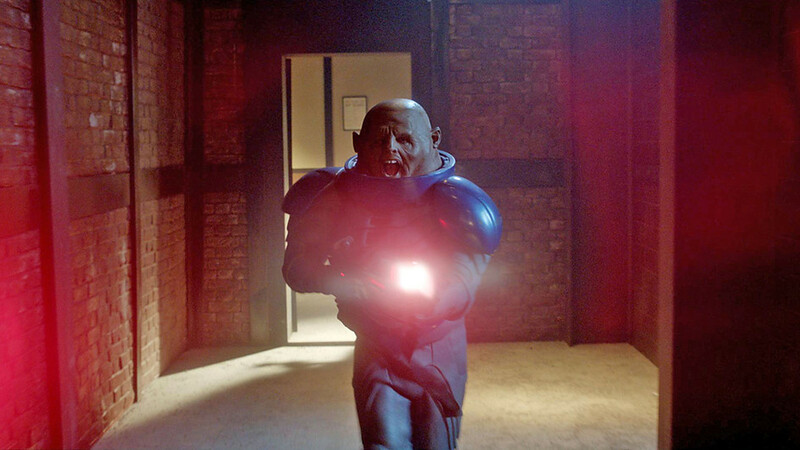 Its great to see these characters return again, the Silurian Detective and her faithful maid make a brilliant team as they prowl the streets of London, while Strax has plenty of humorous observations to share as the planets only Sontaran Nurse/Butler. 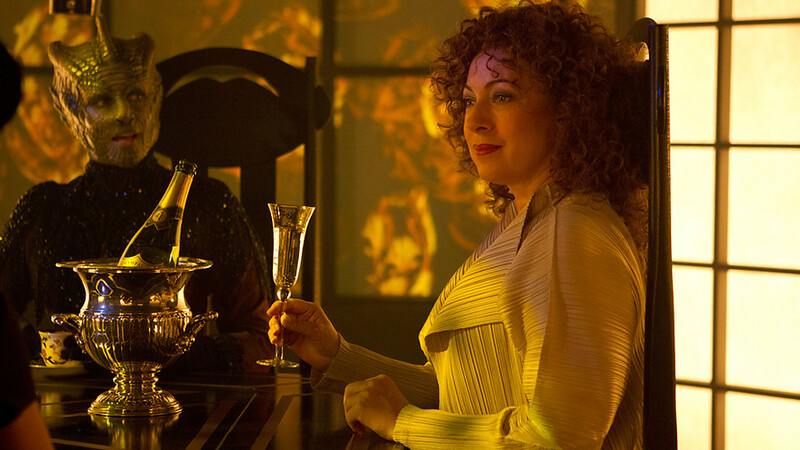 There will be more adventures with the Victorian Era Duo to look forward to when they return for the spring 2013 season of Doctor Who. 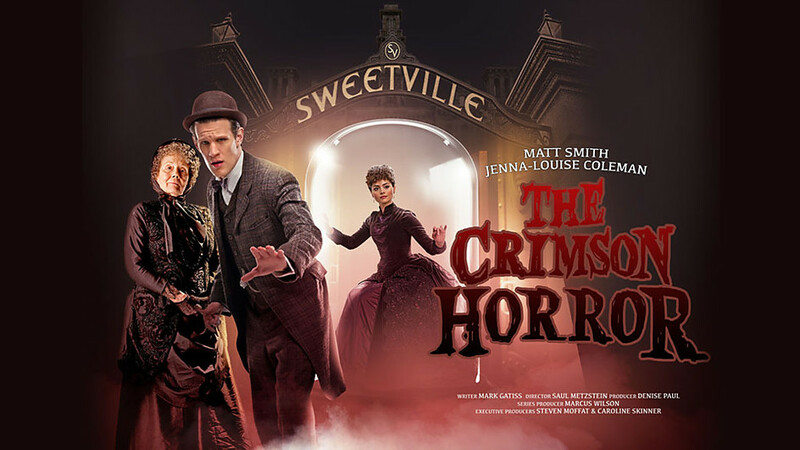 If ever there was a Dr Who spin-off crying out to be made, then one featuring Vastra, Jenny, and Strax solving mysteries and fighting strange alien menaces in the fog shrouded streets of Victorian London would certainly fit the bill! The special effects in The Snowmen are astonishingly good, seamlessly enhancing Steven Moffat’s action packed story: the streets sparkle with the silvery shimmer of telepathic snow, the Snowmen themselves are one of the series most fantastic creations to date, a frightening encounter with the Ice Governess is brilliantly staged, and the “ascent” from a magically suspended ladder which shows Clara climbing a winding staircase to discover the TARDIS floating above the cloud tops is a magical moment that will endure long after the credits have rolled across the screen. Just as The Doctor finds a new companion in Clara, the TARDIS also gets a makeover for this Christmas Special – courtesy of designer Michael Pickwoad. This new, slightly darker TARDIS console room, is the third time the set has been remodelled since Doctor Who returned to our screens in 2005. The splendid new consol is a more refined version than the one seen in Matt Smith’s first two seasons. 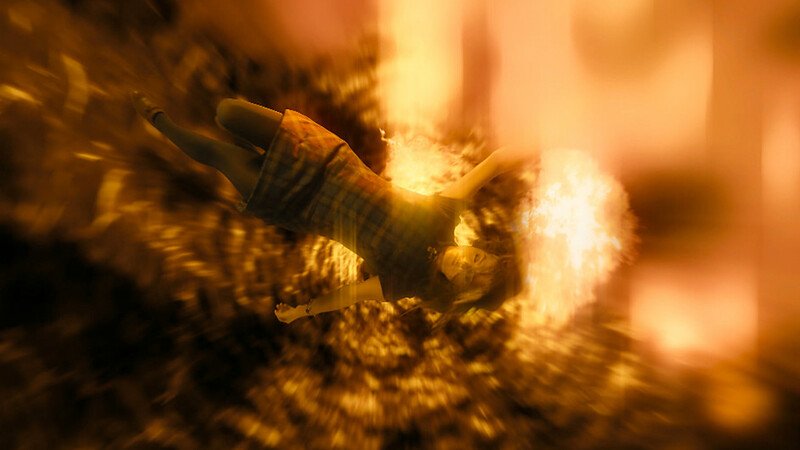 Bathed in an aquatic glow, it has a design which harkens back to the more traditional TARDIS interiors from the classic series, as well as a central column that swoops upwards into a lighting unit adorned with uncanny symbols from the Gallifreyan alphabet that swirl and rotate when the TARDIS is in flight. 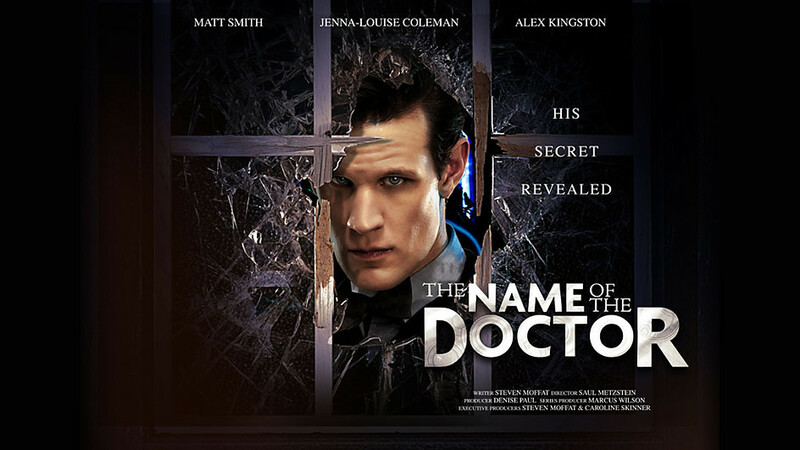 As well as a new TARDIS interior, The Snowmen will also see the introduction of an exciting new theme tune, as well as a colourful new title sequence that finally contains a glimpse of The Doctor’s face – both features reminiscent of the early years of Dr Who – that I’m sure will leave many viewers with a warm fuzzy glow of nostalgia as the opening moments harmonize exquisitely with the programmes past. The Doctor Who Christmas Special is always an extra special box of delights for Doctor Who fans on Christmas Day, and The Snowmen is no exception to this rule. Steven Moffat’s has crafted a hauntingly magical tale that glitters with the spirit of Christmas, transporting us into a winter wonderland of fantasy and adventure as The Doctor returns from his self-imposed retirement from adventuring to battle Dr Simeon and his frosty legion of Snowmen. 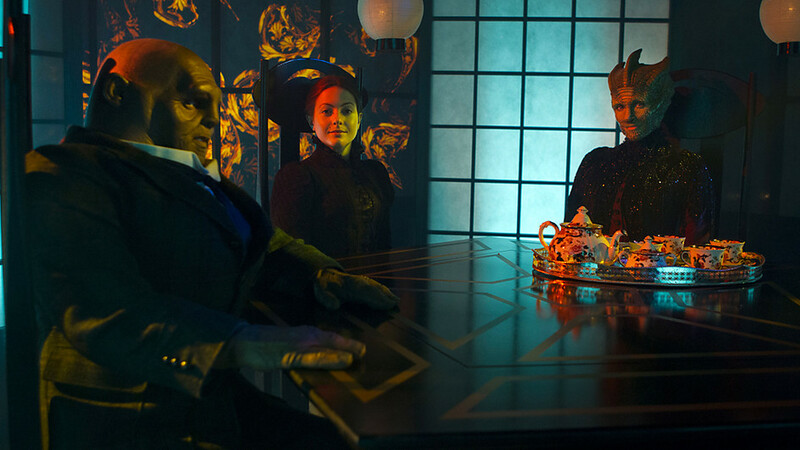 Of course Clara is the special person who persuades him to leave the confines of his rickety old TARDIS and take up the good fight against Dr Simeon, they make a fantastic team, and when the alien entity manifests itself as the Ice Governess (voiced by Juliet Cadzow), the children’s former Governess who drowned in a pond within the grounds of Darkover House, Clara’s true spirit and resolve shines through to allow The Doctor to save the day. Clara’s identity remains a mystery, at least for now, even the fantastic coming soon trailer doesn’t give too much away – although it provides a tantalizing glimpse of some of the new episodes; with scenes featuring Jenna Louise Coleman, and plenty of monsters, including a brief glimpse of the new look Cybermen! 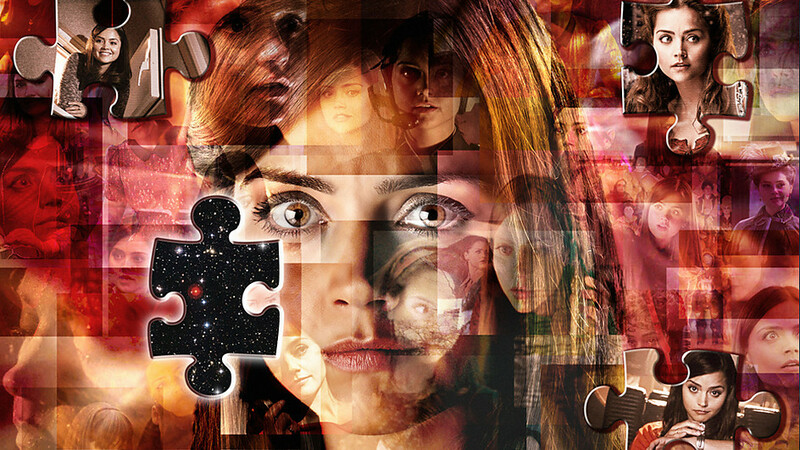 It is entirely possible that Clara is indeed the same person, living out each life as she adventures with The Doctor, or maybe she is fragmented throughout time and space by some external force, perhaps in much the same way as The Key to Time? Clara’s connection to Oswin is sure to keep us all guessing. Whatever awaits us, I’m sure Steven Moffat will have plenty of surprises in store for as the mystery of Clara Oswin unfolds when Doctor Who returns in the spring. The period detail lavished on The Snowmen by director Saul Mctzstein (Dinosaurs on a Spaceship / A Town Called Mercy) is nothing short of excellent; effortlessly recreating a bustling Dickensian world shimmering beneath a fairytale blanket of crisp white snow. Every moment of this blockbusting Christmas Special is overflowing with verve and energy as Mctzstein teases every Christmassy nuance from Moffat’s script as The Doctor and Clara team up with Vastra, Jenny, and Strax to face the snowmen. The Snowmen is a hugely enjoyable story for all the family. 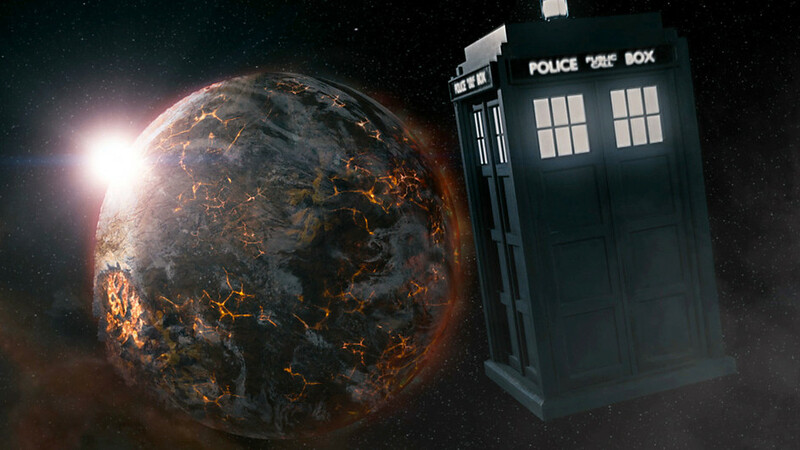 There are plenty of nice continuity touches for fans to pick up on, the Ponds are far from forgotten (the mere mention of their name during crucial telephone conversation with Vastra is more than enough to bring The Doctor back down to earth), we get a brilliant twist on Clara’s first reaction to the TARDIS “smaller on the outside”, and even the sonic screwdriver gets a new setting! The moment The Doctor gives Clara a key to the TARDIS is wonderful, and when The Doctor straightens his bow tie near the end you can see that the Time Lord is well and truly back in business! It successfully introduces a new companion for The Doctor, offering an endearing slice of festive fun whilst providing a fitting coda to the Ponds heartbreaking exit, allowing the show to embrace a new era – along with a sleek new TARDIS interior – as we take our first exciting step towards Doctor Who’s 50th Anniversary celebrations coming up in November 2013!